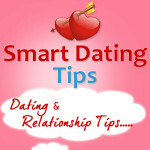 Most people who date online knows where to look and what to look for. And, many of them will surf it via Yahoo, Facebook, Google+ and some general dating sites. But for people with herpes, it is more likely that they will go to genital herpes dating sites for singles that are specifically designed for people with herpes as dating services can provide a more private and anonymous platform to them than any other dating site. Here are some useful herpes dating tips summarized by the marketing director of Herpes-dating.com. 1. Go to a dating site that is known to all. If people don’t know one, they may get help from their friends or use online search engine. 2. Be honest. People need to treat the online talk as a face-to-face talk. The majority of the dating sites for singles with herpes have online chat room feature for their users to talk with others. When people are ready for dating with someone, they need to make sure they are honest and they don’t talk other topics if they are just looking for dating. 3. It is better to have a webcam chat before people meet in person. When people meet the right one online, it is better for them to invite their partners to have a webcam chat before they meet in person. This way, they will not be so disappointed at the look of their partners when they see each other in the real world. If people don’t have a webcam, they may need to exchange photos with each other before they meet. 4. Tell partners the truth no matter you are rich or poor. People also need to tell their education status, marriage history, occupation …so that their partners can know them all around before they start dating. 5. People should not contact others who have different type of STDs from them. The reason is simple. If both of the two have the same type of STD, there will be no chance for either of them to get another type of STD. Or there will be a chance for both of them to transfer their STD virus to each other. 6. If it is possible, try to chat with people for more than 100 hours before meeting in person. This way, they will have more chance to know each other better. 7. It is better to find people who are in 100 KM away. If they are near from each other, there will be a better chance for them to step to the success. When they want to meet in person, the distance will be a big problem to prevent them from meeting in person if they live too far away from each other. 8. Protect yourself from dating scams. If someone has very gorgeous photos and shows strong interest in another one at a herpes dating site, the person has to be very careful when contacting him or her. Never send money to a person when dating. 9. Try the best to encourage each other by sharing some STD experience and advice. This makes a person trustful. Do General Dating Sites Work for People with Herpes to Find Love Online?